In 2009, Circus Company opened their doors to two inspiring young artists, Willie Graff & Tucillo. Inspired by the endless landscapes and sound architecture the white Isle, the duo went on to release the deep, complex and grinding “Atracktion” Ep on Circus Company. Receiving instant recognition for their weighted and diverse sound, “Atracktion” fell instantly in line with the labels consistent standard of quality electronic music, making Circus Company’s 39th release an immediate success. 2011, and the passionate duo are back for their second Circus Company Ep “Poseidonia”. ‘Go Deep’ sends the Ep off to a flying start as aboriginal echoes and dusty orange tones set the scene. As tribal pockets burst, the track unfolds with rattle snake shakers and the “I want to go deep” vocal playing on a desert plain with rich drum patterns and the rhythmic concoction of a pounding bass line. ‘Go Deep’ conjures a playful, flirting encounter with the dance floor and leaves us to explore the next pathway of Ep’s title track ‘Poseidonia’. The unravelling journey of ‘Poseidonia’ first presents itself with crisp, swishing sound bites that twirl with a heavy and relentless kick. One by one, the journeys elements arrive and change subtlety; the rapidity of the shaker, the crunching hats and an underlying bass line that alters its course with smug ease. ‘Poseidonia’ shines with hypnotic simplicity from it’s opening to its close, coaxes the imagination to endless possibilities. Bursting sound pockets, trickling drops and ascending bubbles…‘Poseidonia’ reaches the depths of the twisted mind. On the Ep’s digital bonus ‘Sextacy’, things yet again change direction with sensual stuttering house vocals and a raw kick drum of muffled grit. ‘Sextacy’ is intricately contrasting as its mysterious and dark bed flirts with the tracks light and airy high ends. 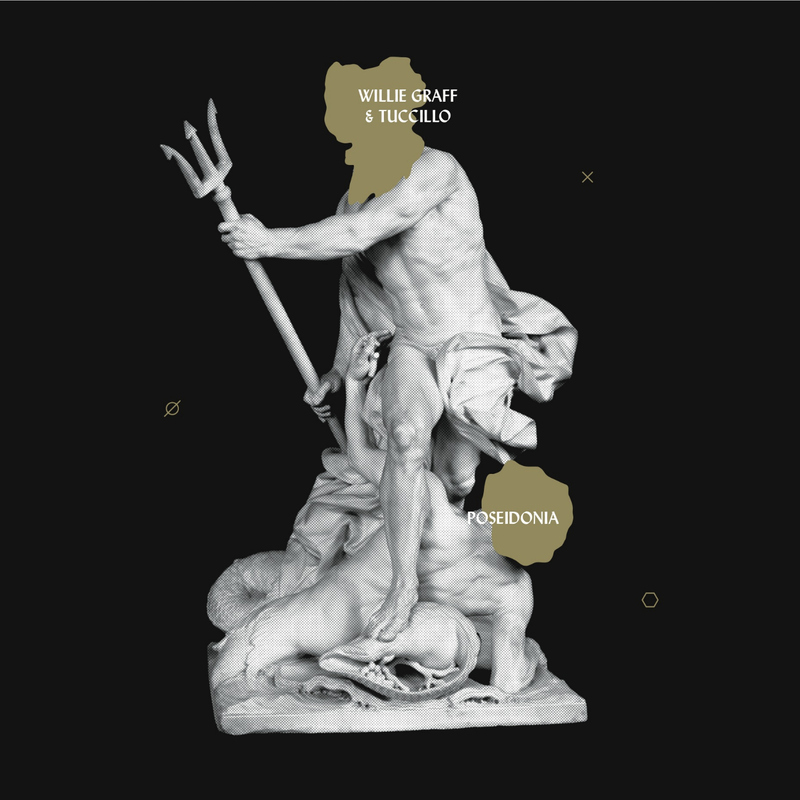 The “Poseidonia” Ep displays a multi faceted soundscape and once again, a finely executed piece of work from Willie Graff & Tuccillo for Circus Company.